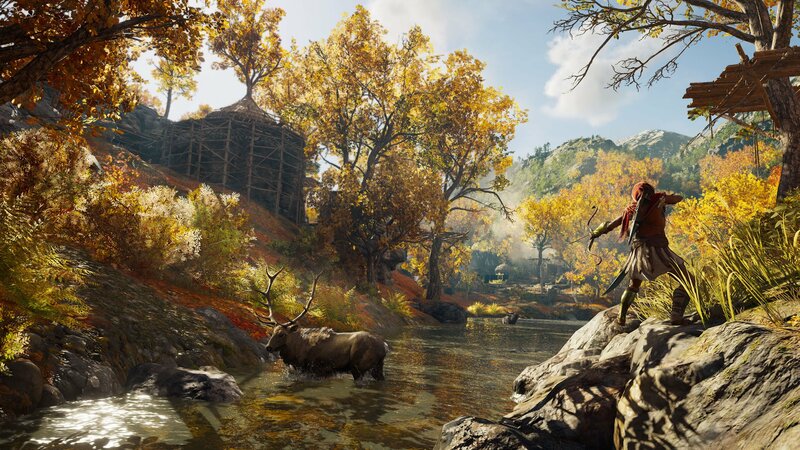 Learn how to craft Normal Arrows while playing Assassin's Creed Odyssey. 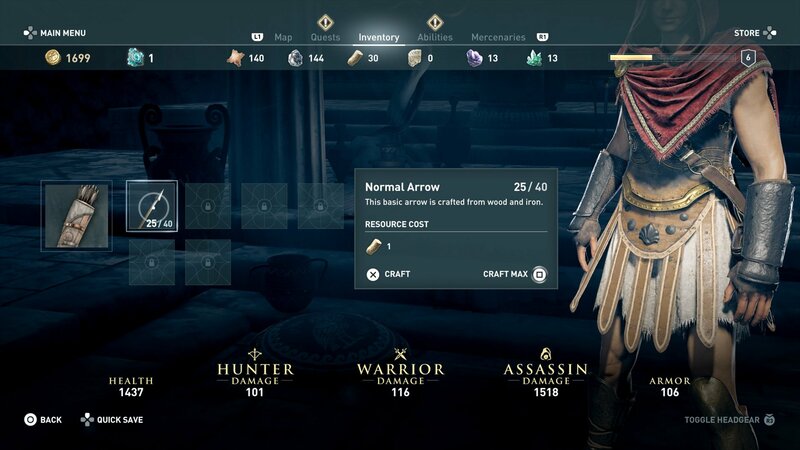 Assassin’s Creed Odyssey does have a resource gathering and crafting component to it. In some cases, the ingredients and recipes are more complicated, and in others they are more straightforward. With crafting arrows, it’s a very simple process once you know what ingredients you need and where to find them. Open your inventory and look for the icon of the quiver with the arrows in it. Open that up and you’ll see several types of arrows that can be crafted depending on how far you’ve progressed. The first type, which you’ll unlock early in the game, is the Normal Arrow. This only requires one ingredient, but the game does you no favors in explaining what that is. You’re on the lookout for a resource called Olive Wood. This can be found all over the game world as you walk and explore. You’re on the hunt for a small tree that can be gathered. Olive Wood can also be found by looting floating piles of debris while sailing in your ship after you unlock the ability to do so. For every two Normal arrows that you craft, a single Olive Wood is required. 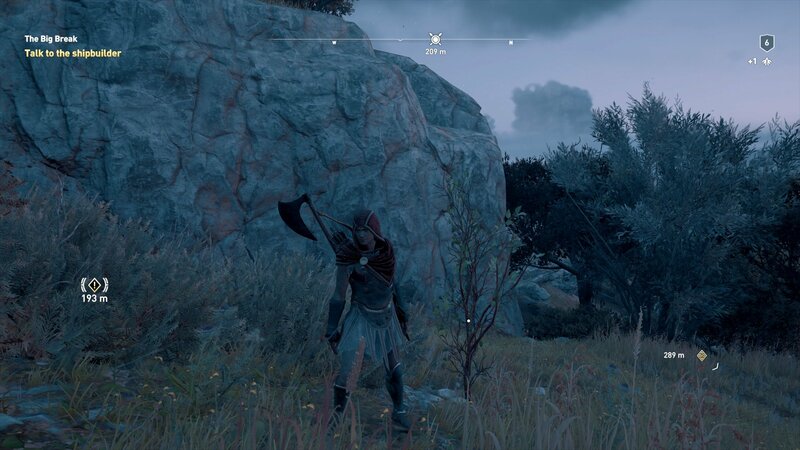 Expect to find anywhere from 2-4 Olive Wood from every tree you gather, meaning that if you’re on top of things you should never run out of the arrows you need to enjoy the stealth side of Assassin’s Creed Odyssey. Just remember to craft the arrows you need before you pick a fight, as stopping to make arrows is generally a poor decision in the middle of a battle. 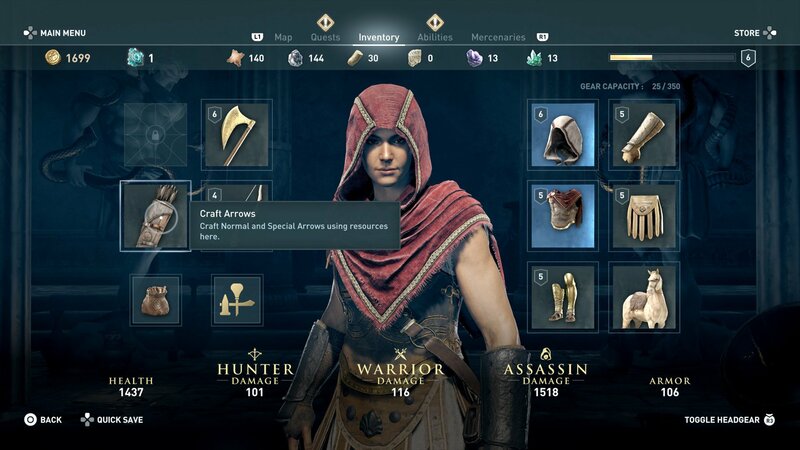 Now that you know how to craft more arrows, visit the Assassin’s Creed Odyssey walkthrough and guide for more help with all the game’s mechanics. There are treasure hunts to enjoy, as well as tips and tricks to make you a more effective assassin.